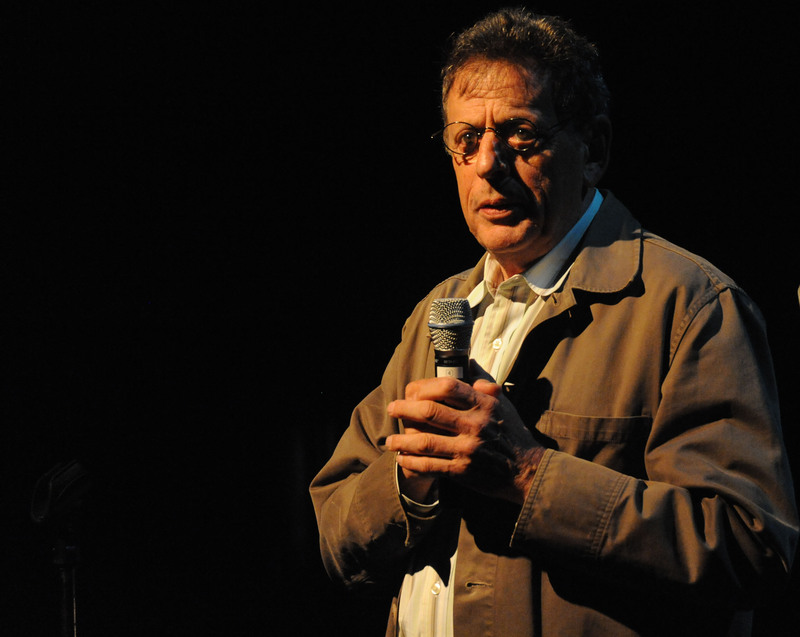 The Days and Nights Festival featuring Philip Glass and some very talented musicians is now slightly past its midpoint, yet it shows no sign of running out of steam. The Saturday afternoon presentation of chamber music led off with an early work (1983) by Glass written as incidental music to Samuel Becket’s play derived from his short story, “Company” and originally scored for string quartet or string orchestra. In the version we heard today, it was performed as a string octet consisting of violinists Maria Bachmann, Tim Fain, Ana Drobac, & Myles P. McKeown Meza, violists David Harding & Manuel Tábora plus cellists Matt Haimovitz & Edvany Klebia da Silva. This ten-minute work features repetitive passages that tend to hum along from one adjacent tonal center to another and back again, giving the impression that we were floating in limbo waiting for something to happen. Actually, in the second movement of this work, something did happen, and although the earth didn’t move, it did sort of nudge us in that direction. There was a climax, there was a logical ending, and in retrospect we have to say that the work had a very satisfying cumulative effect. Following the Philip Glass work, we had an opportunity to hear the Bartók String Quartet No. 1 performed by Tim Fain, Maria Bachmann, David Harding and Matt Haimovitz. This was a powerful performance whose frenetic rhythms, sensuous harmonies, startling chromaticism, and total joy of music making just blew us away. The intimacy we felt being almost surrounded by the musicians and enveloped by their playing added immensely to the effect of this bold and dramatic work. While it would probably not have had such an amazing impact in the 735 seat Sunset Center Theater in Carmel, the acoustics at Hidden Valley were perfect for such a performance and everything really worked on this occasion. The crown jewel of the afternoon’s concert was a performance of Mendelssohn’s Octet in E-flat Major, the extraordinary work written when he was only sixteen years old. The same players who performed the opening work on the program were back to give us a performance of extraordinary vitality and relevance. Violinist Tim Fain had some remarkably intense solos, and so did the other players, for everyone has important roles in the work. The Scherzo movement was as magical as ever (it never matters how many times you have heard it previously), and the final windup was gloriously satisfying. Mr. Glass is a constant presence at this festival ―ready to say a few words to members of the audience before a concert or speak to them personally during intermissions and after concerts. Anyone meeting him can’t fail to be charmed by his warmth and sincerity. One of the most interesting aspects of the Days and Nights Festival is how thoughtfully Mr. Glass has chosen and arranged the various programs and events we are enjoying during the festival. He is choosing works of his own and then making them relevant in juxtaposition with some important masterpieces of the past, often those having significance to him personally. Perhaps we are not exactly walking in his shoes, but we are strolling along with him listening to his thoughts and ideas about music.